From Mrs. to Mama: Deals of the Week is back. Week 1. Per request, I will be doing "Deals of the Week" again this year like I did last year during the holidays. Every Sunday I will post deal finds. Some weeks there will be a lot, some not so much. But I will try to post something every Sunday. As we get closer to the holidays, the deals will only get better. 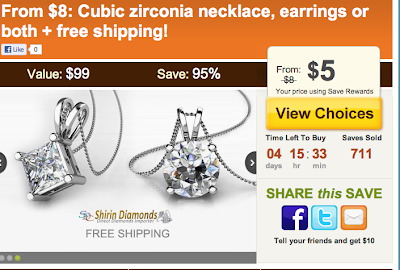 Get $5.00 off when you spend $50.00 or more. Deals include, boots for kids, women clothing, workout clothing, and the cutest jackets for little girls! 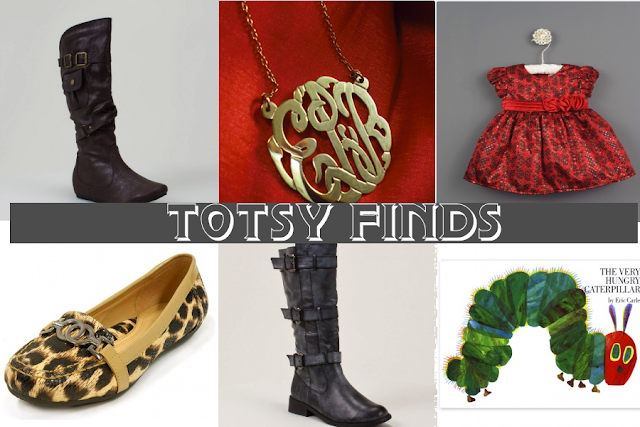 Boots, shoes, holiday dresses, baby outfits, and books all for $15.00 or less. Free Shipping for new members with no minimum purchase required. $15.00 infinity scarves. Only $2.80 for shipping. $6.00 + free shipping. Your choice earrings, necklace, or both! Use code: SPOOKY to get the $2.00 discount! 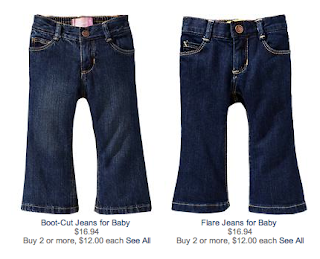 Elliana has these jeans and we love them! 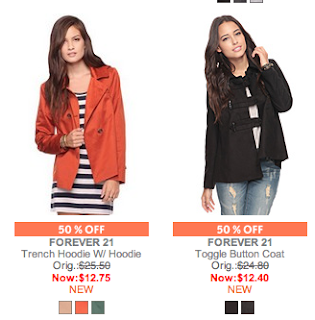 50% off outerwear at forever 21!!! 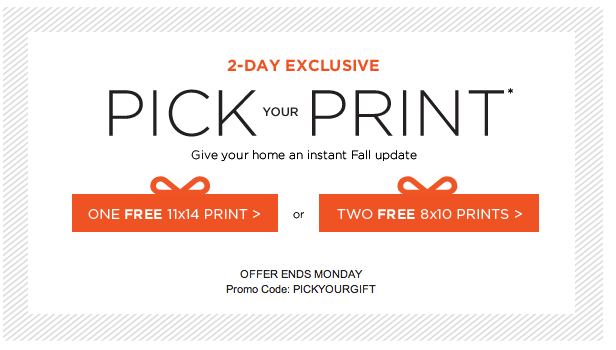 Free large prints at shutterfly! **30% off medium Advertising spots today only! If you find any deals, please do share in the comments section for everyone to check out! I bought a pair of rain boots for my toddler from Totsy and it took 8 weeks to receive them. I was so annoyed! 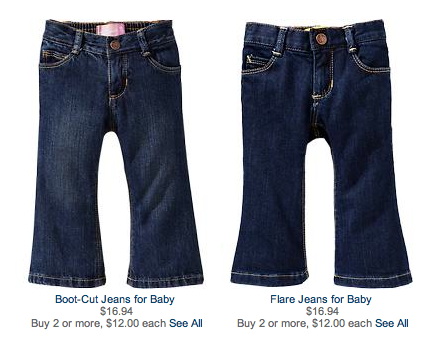 I dont have any children but I am signed up for Zulily, such cute stuff!! Love those infinity scarves! Thanks Becky for sharing! I need to get on my Christmas shopping! Ooh, thanks for the shutterfly code! Sears has a stainless steel 4 qt. Hamilton Beach crockpot for $9.99... you can have it shipped to the store for free! I bought two... one as a gift and one for myself!